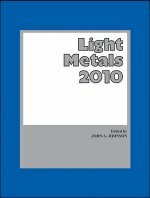 This book comprises over 60 original and fully refereed technical presentations focused on geological analysis and testing of rocks, ores, minerals and elements correlated with gold mineralization and mining in the Great Basin region of the United States. 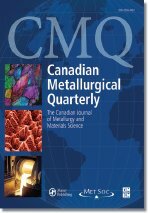 Detailed geological data derived from advanced techniques is supplied for dozens of proven and currently explored mineral-rich areas in Nevada, California, Idaho, Utah, Washington and Alaska, as well as in Mexico and Chile. 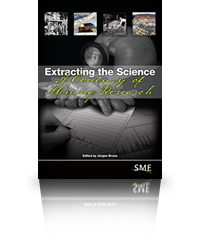 Extracting the Science: A Century of Mining Research is an authoritative compilation of research and a description of technological achievements written especially for mine operators, researchers, faculty and students of mining education programs, as well as for regulators and enforcement agencies-indeed, anyone concerned with improving the health and safety of mine workers while furthering mine productivity. 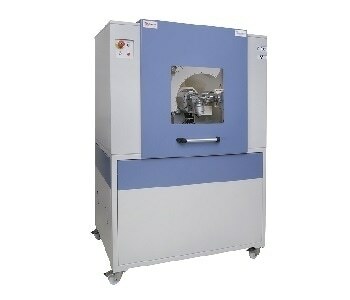 Mining Technology (Trans. IMM A incorporating Proc. 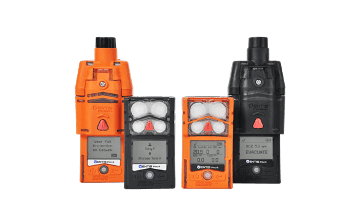 AusIMM) is devoted to all aspects of underground, opencast and offshore mining operations. 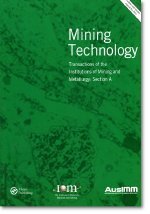 Coverage of mining operations and properties is particularly strong, focusing on the reasons for the methods and techniques employed and possible future developments. Preface to the second edition. Preface to the first edition. Introduction. Minerals and rocks. Superficial deposits. Distribution of rocks at and below the surface. Subsurface (ground) water. Geological exploration of an engineering site. Rocks and civil engineering. Principal geological factors affecting certain engineering projects. 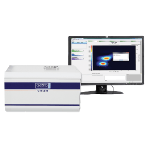 Solve everyday mining problems quickly and easily by applying the computer lanaguage GPSS (General Purpose Simulation System). 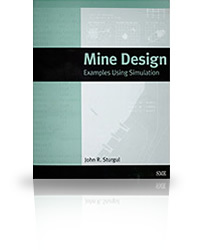 Part I of the book reviews mining simulation in general and describes why the GPSS/H simulation language was selected. 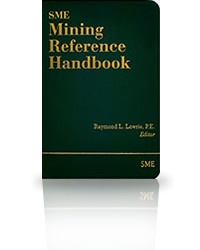 Part II is an overview of the language itself to help you obtain maximum benefit from the mining examples, which are contained on the included CD. Economic skill is an essential partner to technical skill in every step of the mining process. An economic "mindset" begins before the first drill hole. 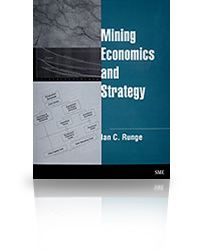 This new book will help you effectively direct mining operations through the use of innovative economic strategies. Interpreting a geological setting for the purposes of engineering design and construction requires knowledge of geological engineering and engineering geology, leading to integrated engineering solutions which take into account both ground conditions and environment. 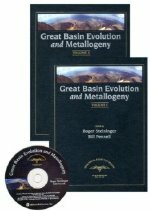 This textbook, extensively illustrated, covers the subject area of geological engineering in four sections. 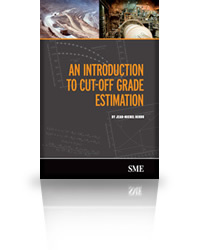 Richly-illustrated reference guide presenting innovative techniques focused on reducing time, cost and risk in the construction and maintenance of underground facilities.